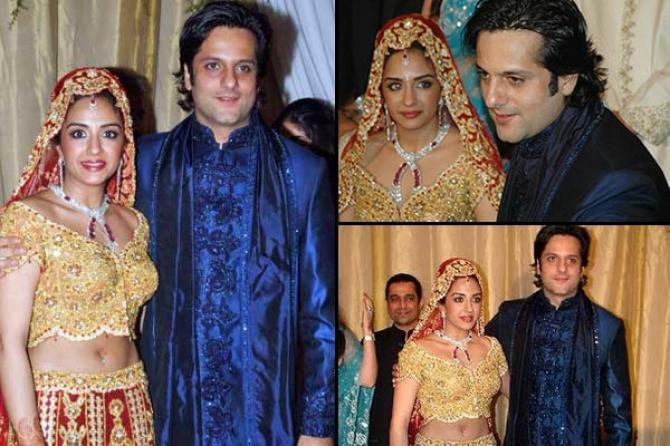 When it comes to the weddings of our Bollywood celebrities or sports stars, we keep a close eye on each and every detail. Be it their costumes, venue, food or anything else, we all love to be updated about each and everything. Many times, we even take an idea or two from them to incorporate the same in our own wedding. But wait! Do not just follow everything blindly because even the celebrities can get a few things wrong on their wedding day. So for all you lovely brides-to-be, who are aspiring to dress up like a celebrity on their wedding, here are some of the celebrity wedding mistakes to learn from and save your day. 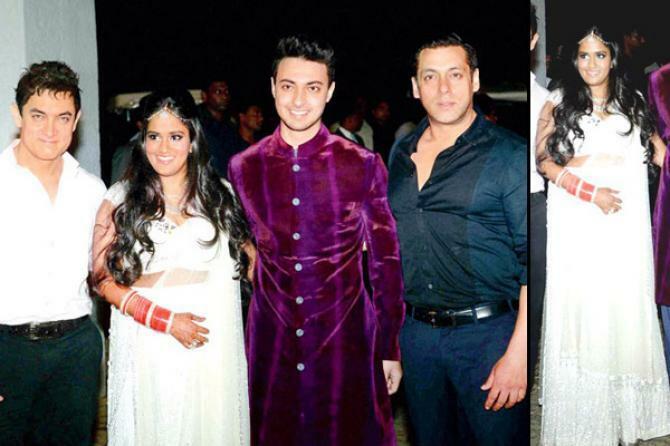 Arpita Khan definitely had a perfect wedding, but we cannot say the same when it comes to this particular dress. The white lehenga which she wore right after her wedding, grabbed attention for all the wrong reasons. The white colour did not flatter her dusky complexion at all. So, a touch of some colours in the lehenga would have looked nice. Also, the lehenga was tied quite too high on her waist. Had she worn it along the mid-waist, it would have looked better. After all, the way you drape and carry any dress makes a huge difference in your overall appearance. Don’t you agree? 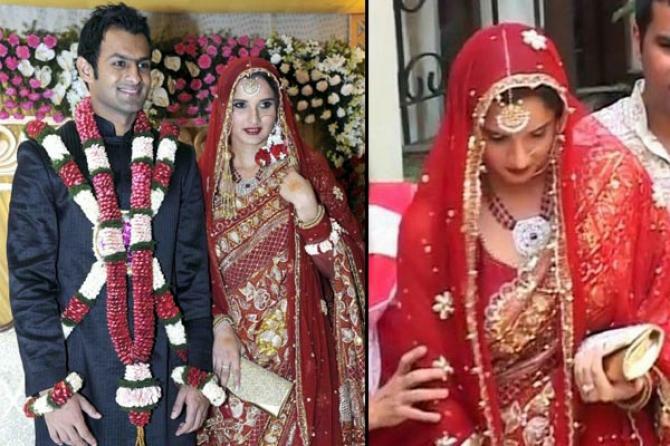 Now, if our tennis champion Sania Mirza thought that she would emerge as a winner by holding a clutch throughout her wedding, then she was wrong. It was just not needed and did no good to her entire look. Rather, that clutch only spoiled it. So, control yourself if you get fantasised by various glittering clutches or purses in the market while shopping for your wedding outfit. Can anybody answer what that dress is all about? 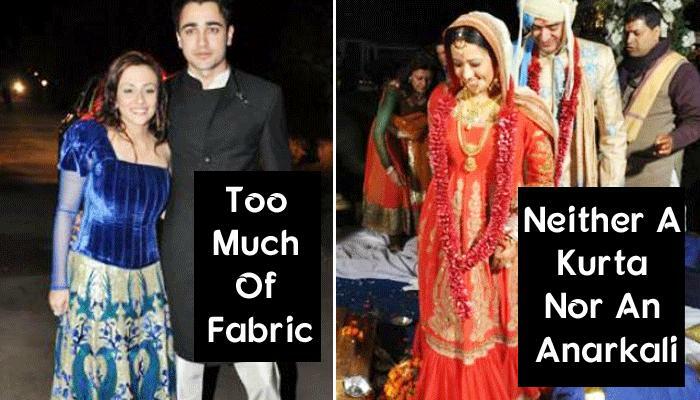 Well, even we kept guessing what exactly our Gangs of Wasseypur girl, Reema Sen, was wearing on her wedding. Whether it was a long kurta, a floor length anarkali, or something else! Adding further to our confusion were those frills at the end. And of all the colours, why wear a white duppatta when it is not even complementing the attire? So, unless you want to play a guessing game with your guests, don’t do any experiments like this on your wedding day. Well, we wonder if Natasha Madhvani actually wished to wear such a ‘high on bling-o-meter’lehenga, or she just had to, because it was designed by her mother-in-law Sundari Khan. Well, whatsoever the reason be, but that gaudy blouse with no dupatta or anything else draped over it, was not really a pleasant sight. The choli looked more like a saree blouse, and hence the dupatta very much needed to be draped on it so as to make it look complete. And, not to miss that two-pronged necklace that she wore with her dress. Girls, please keep a check on the level of glitter while selecting your outfit. Although it is quite normal to wear bling on your wedding, it is still not advisable to go overboard with it ever. Well, velvet surely has been a timeless favourite of designers for Indian wedding attires, but has always been used in moderation. However, it seems like Varun Behl, who designed Avantika Malik’s engagement dress, was too much in love with the fabric when he came out with this creation. What’s more? Apart from going overboard with the fabric selection, the silhouette was quite appalling. This one-shoulder velvet gown truly was a failed attempt to create a contemporary outfit for a traditional Indian occasion. And, the net-sleeve was just the icing on the cake. So, do not go for anything under the sun just because you want to be labelled as a bride who is a fashionista. Phew! We hope you will learn from their mistakes and not make any of these on your wedding. You can always look up to celebrities to know what is in and what is not. But before taking ideas related to the dress, makeup or hairstyle, just be sure it suits you, and most importantly, you are comfortable in it.